What says summer better than melons? A nice blend of sweet, juicy melons that will remind you of the freshest fruit salad. Scent Oils are highly concentrated and potent substances. Always use safety procedures. *DO NOT take internally. *Avoid all essential oils, natural herb products and salt baths during pregnancy. *Always dilute essential oils in a base oil. They are NOT perfumes that can be applied directly to skin. If undiluted they can be extremely irritating to the skin. Ask you doctor before using Essential Oils if you are on any prescription medication. * Keep essential oils away from children and animals - and in a secure safe location. * We cannot be held responsible for the misuse of these products. * Don't store in plastic containers because some may dissolve plastic. 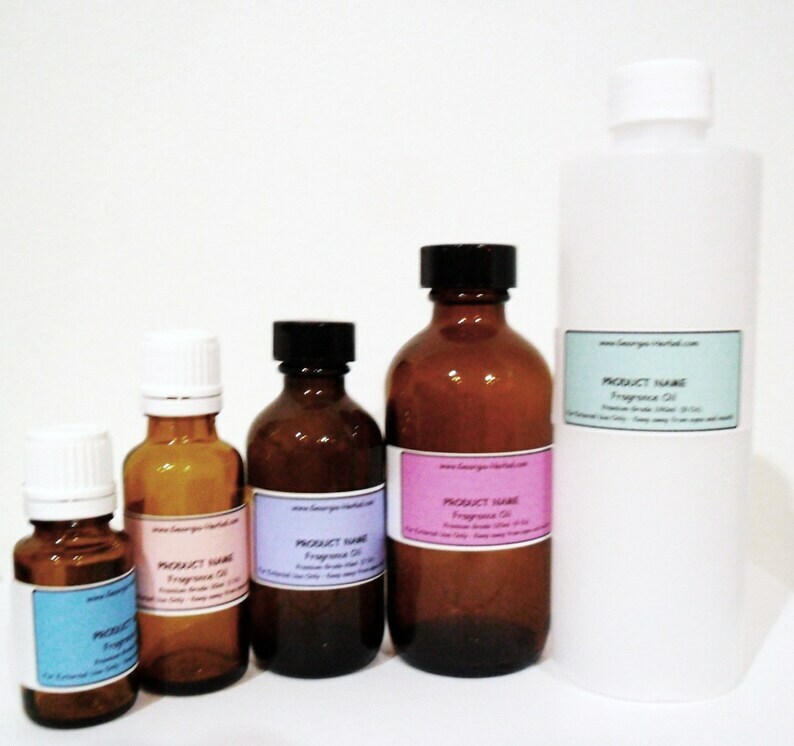 Fig FRAGRANCE OIL Premium Grade OIL U Pick Size for Soap Making, Candles etc. Lily of the Valley FRAGRANCE OIL Premium Grade OIL U Pick Size for Soap Making, Candles etc. Balsam Fir FRAGRANCE OIL Premium Grade OIL U Pick Size Synthetic Oil (Not the Essential Oil) for Soap Making, Candles etc. Mulberry FRAGRANCE Oil 100% Uncut for Soap making, candles, burners, etc.